Can you imagine a life without candy? Yeah, me either. It’s especially difficult to envision with all of the candy-lined shelves at what seems like pretty much every store on every corner, with Halloween just days away. Having said that, what ever happened to the CUTE candy? Doesn’t it seem like everything on the shelves is plastered with labels and brand names, etc.? What ever happened to that cutesy, bright and colorful, Willy Wonka type candy? THAT is the inspiration for this week’s board. 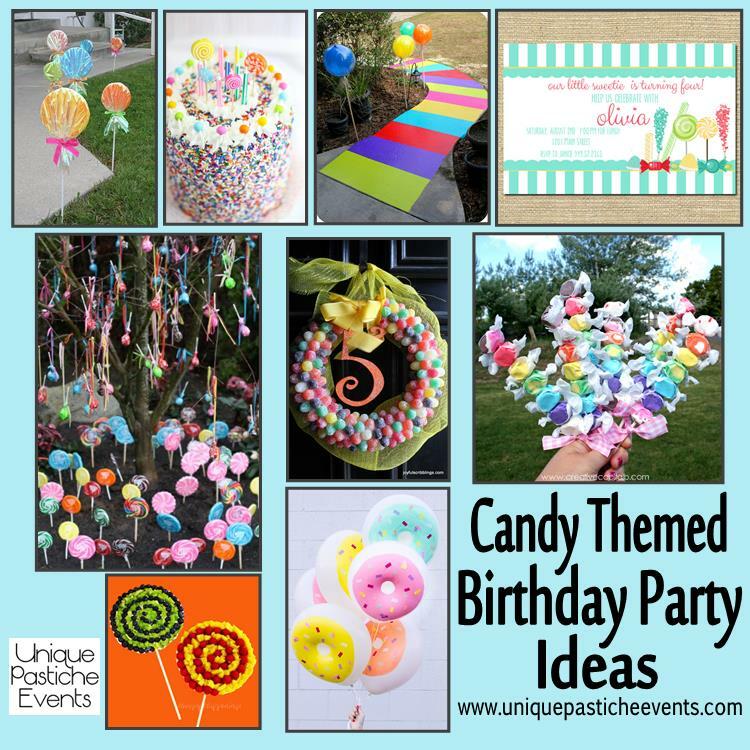 A cute candy birthday party for kids of all ages! Thanks for sharing the link to my candy party post. I love all kinds of candy. This time of year I love candy corn and peanuts mixed together. Tomorrow I0/24 I’ll be sharing a Halloween party my friend gave who also hosted the candy party. Salted! It’s a good mix of sweet and salty and highly addictive. When you combine the two it sort of tastes like a Baby Ruth bar. I bet that is DELICIOUS! Going to have to give that a go. I’m sure it would also be great in a party snack type bowl too. Thanks for including our lollipop tree post in the roundup!! Thank you for including my Swirly Pop Fruit Pizzas in your list of fun candy themed ideas. You found some great stuff! Thanks so much for featuring our invite! What a great party idea!